We are sad to announce Glenn Dustin’s departure from Legacy Five. Glenn was an original member of our group. His magnetic personality and stellar bass voice, has endeared him to audiences across the United States, and in other countries, over the past twelve years. We have already begun the process of searching for a new Bass Singer. We would appreciate your prayerful support, as we trust the Lord to bring us the person He has already chosen to complete our group . Please keep Glenn and his family in your prayers as they begin this new chapter in their lives. Glenn’s departure is the first non-tenor change in the primary vocal parts, so it will be interesting to see how fans respond to the change, as well as how the group’s vocal blend changes with the new singer. 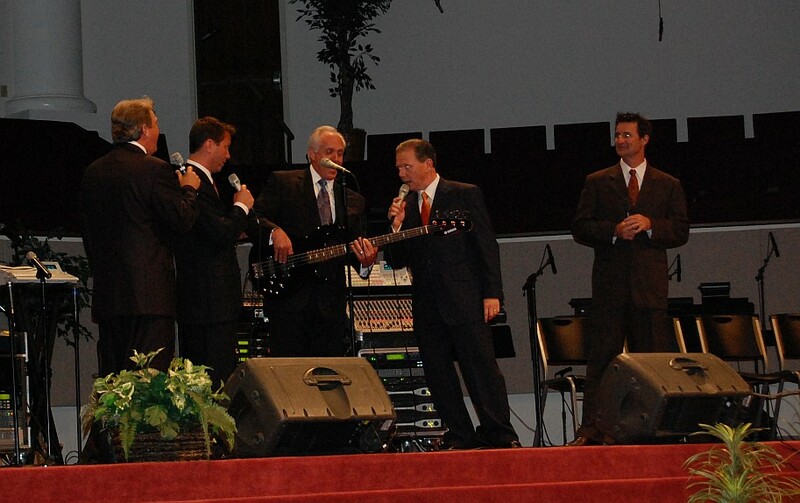 Best wishes to Legacy 5 as they search for a new bass singer, and to Glenn Dustin as he starts a new chapter in his life. Last Friday night, my wife and I attended one of the Cathedrals Tribute series concerts, that are promoted as “An Evening To Remember.” Quite so. 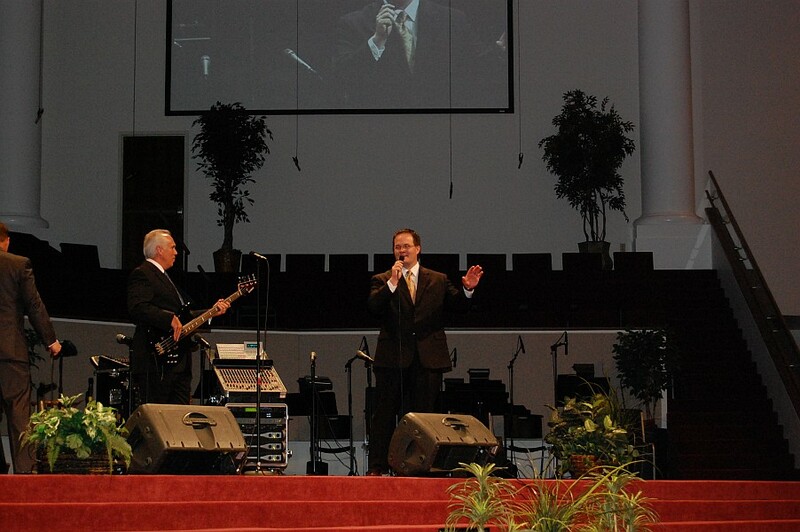 The concert was held at a fairly large church in Olive Branch, MS. The balcony area was empty, but the main floor of the sanctuary was pretty much full. My guess would be 400 or so in attendance. We were a bit surprised that there weren’t more people, as I said, no one was in the balcony area at all. There was no opening group (thankfully), and the concert lasted for nearly four hours. Danny may not have the range that he used to have, but his voice is still strong and pure. Most of his solo stuff is pitched more in a lead or baritone range, so much so that Christy leaned over and said “I thought he was a tenor singer? ?” at one point. That was a bit of a shock to us, as I’d not really heard much from Danny since his Perfect Heart days, save a couple of Silent Power cuts and a Royals cut here and there. However, Danny still has that ability to connect with his audience, and still can convey his message in song like few others. He used a video presentation with “Statue of Liberty” that was very well done, and added a lot to the impact of the song. Danny has had a lot of major health issues over the past 4 years or so, and it’s nothing short of a miracle that he is still standing on stage and performing at a high level. It was good to see and hear him again. 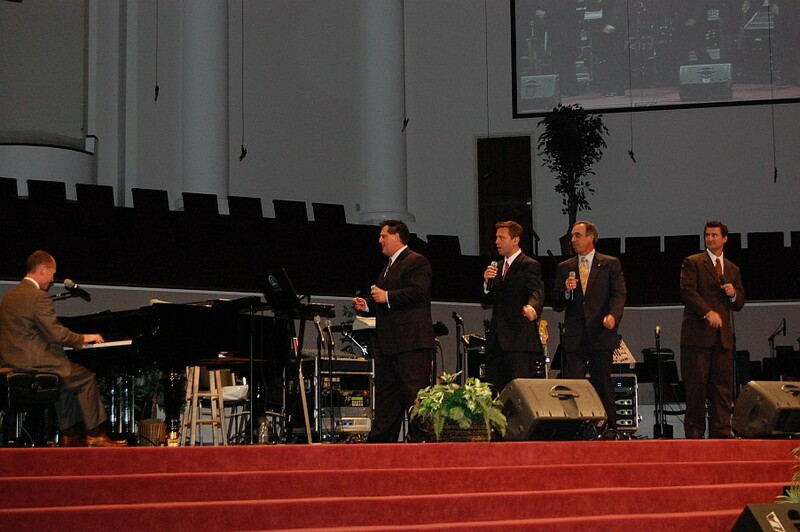 MTQ hit the stage with Dustin Sweatman at the piano and Mark playing bass. “Gentle Shepherd” was incredibly smooth. 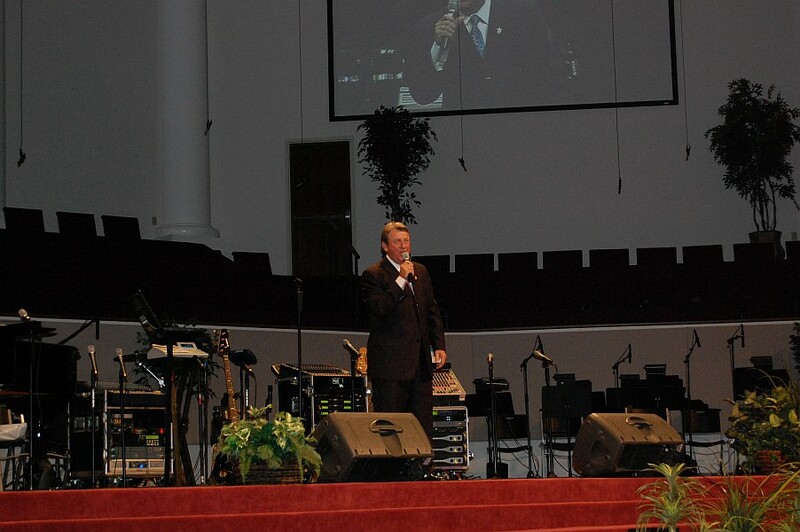 Pat Barker has really made a name for himself with “How Big Is God”, and could soon be likened to Ernie Haase and “Oh What A Savior” in that he has taken an “oldie” and turned it into a signature song all of his own. He really does an outstanding job on it, and has a tremendously expressive bass solo voice. After that song, Dustin got up from the piano for the next two. “Loving The Lamb” is absolutely huge. Great lyrics, great arrangement, great performance. Barker’s bass foundation really completes the song, and Mark absolutely sings the fire out of it. Easily one of the highlights of the night, but so was the next song. Mark said “I’ve got 3 minutes left and I don’t know what to do with myself…”, and at this point Legacy 5 had made their way to the stage and were sitting down in some chairs off to the side. Mark said he’d had a request for an old Cathedrals tune, left the mic for a minute and spoke with Dustin and Pat, then Dustin started into the Cathedrals’ classic medley of “I’ll Have A New Life/Everybody Will Be Happy Over There.” The crowd ate it up, so they encored it and Legacy 5 joined in on the encore. It was a great moment. “Strike Up The Band” is a great, high-energy song for Legacy 5 to hit the stage running, so to speak. Glenn Dustin’s performance of “I’ve Been Changed” is fantastic, and Tim Parton is a true piano guru. Gus does well with the reinvented version of “I Stand Redeemed”, and it’s a great feature for his full-voiced tenor style. He has really fit in well with Legacy 5, and has taken them to another level. “Life Will Be Sweeter” is another Cathedrals tune that popped up before the actual “tribute” started, and they do well with it. 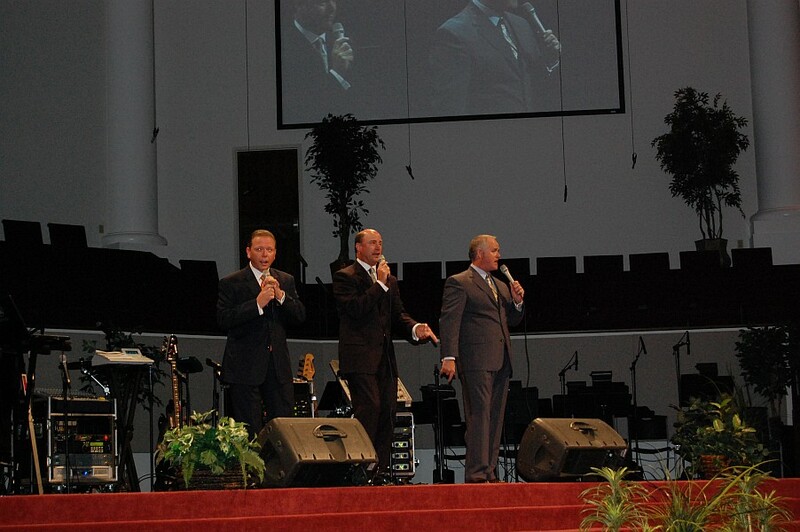 “Great Is Thy Faithfulness” is a typical Goss epic ballad, and was another one of the night’s highlights. I came away incredibly impressed by Legacy 5, their sound with Gaches has really gelled. 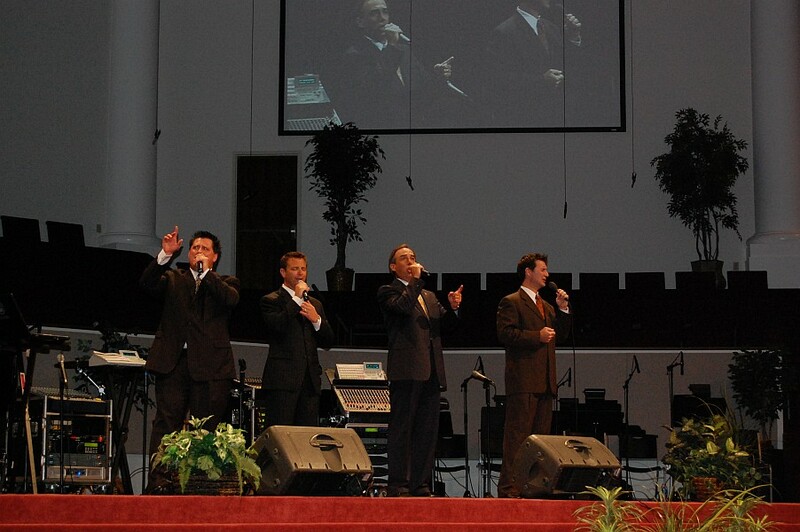 I hadn’t heard Greater Vision in concert since the mid-late 90s at the beginning of the Waldroup era. 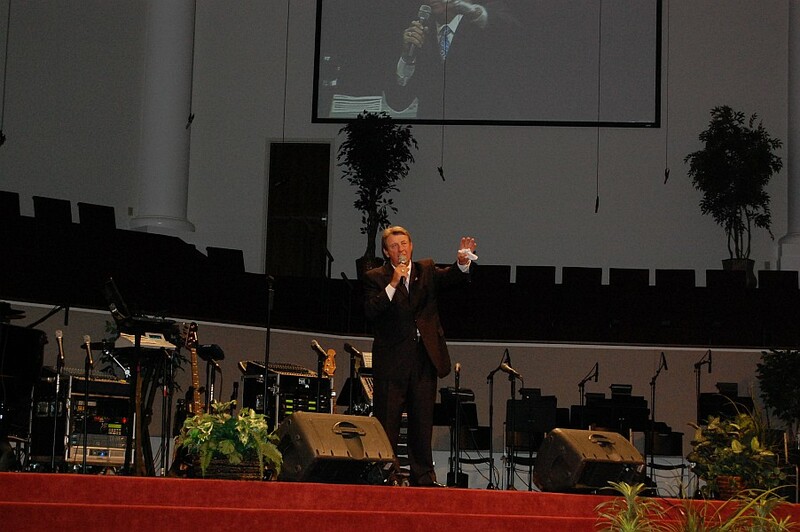 Chris Allman has either been stuck in a time warp, or had his voice cryogenically preserved. He sounded amazing, like he just stepped out of 1994. 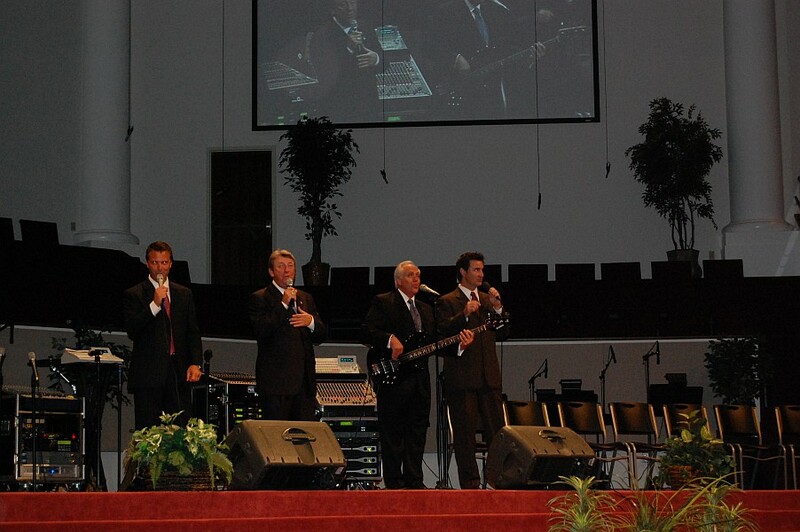 My earlier comments about Pat Barker and “How Big Is God” could easily be repeated here for Allman and “Hallelujah Square.” One advantage to a previous member returning to a group is that it does not take long for the sound to gel, and that is the case here. They’ve just kept going without missing a beat, and are vocally top notch. I also really liked the pacing of their set, it was pretty much high energy from the get-go. 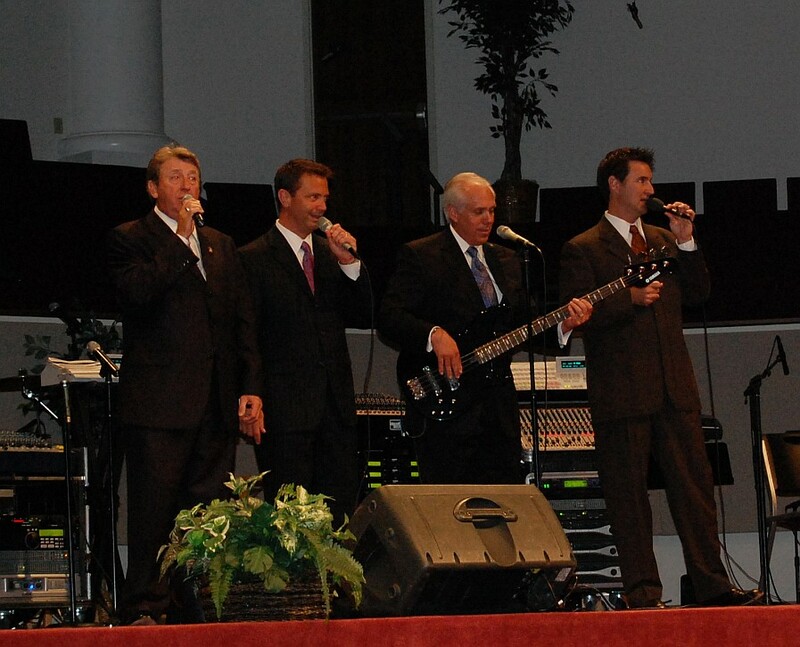 Dianne Wilkinson was in attendance that night, and so the guys paid tribute to her by singing her monster hit, “Boundless Love”, and again, you’d have thought you were listening to the Travelin’ Live album. 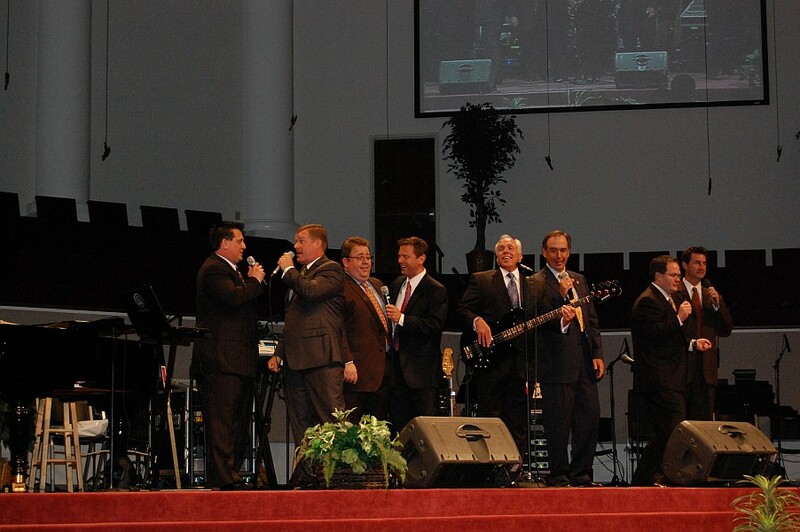 “Wonderful Grace of Jesus” was delightfully disastrous, then Gerald, Mark, and Danny provided another concert highlight with an incredible performance of “Daystar.” “Champion Of Love” concluded the night with everyone on stage for the finale. 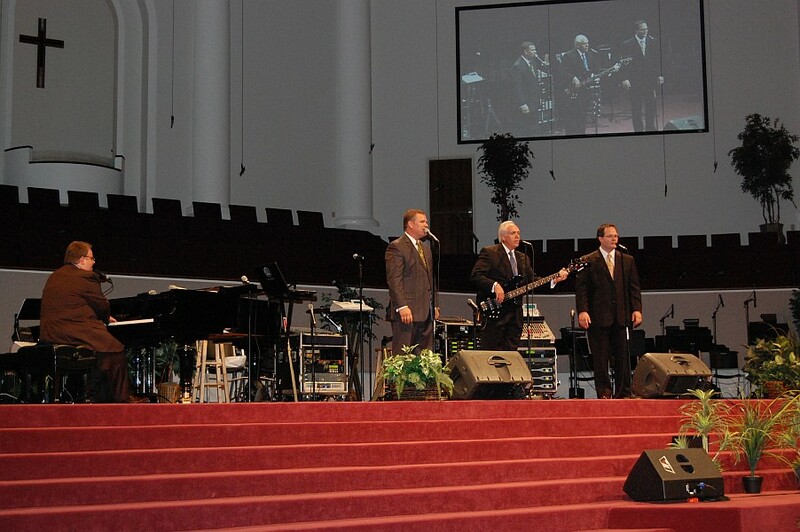 This was one of the most enjoyable concerts that I’ve ever attended. Gus Gaches told me afterwards that a lot of what went on during the Cathedrals tribute was spontaneous and unplanned, but that was what they all enjoyed about these concerts. The artists are truly having as much fun with it as the audience is in listening. If you get a chance to attend one of these, do not miss it! You’ll laugh, cry, and have the time of your life! Thanks guys for a wonderful evening! 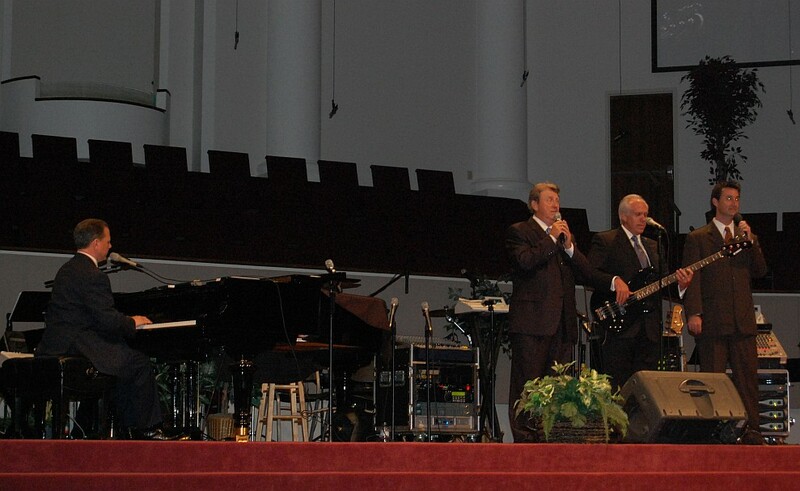 My wife just ordered my Father’s Day present: tickets to the Evening To Remember concert in Olive Branch, MS on June 18. 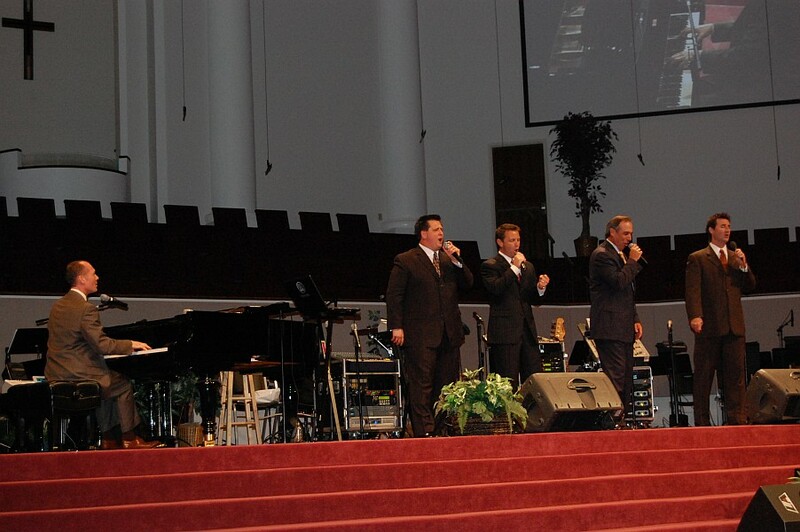 This is one of the series that pays tribute to the Cathedrals with Legacy 5, Greater Vision, the Mark Trammell Quartet, and Danny Funderburk. Any readers been to one of these concerts? I’m assuming that the first half features the individual artists, and the second half is the Cathedrals tribute, would that be correct? How long do these normally last? I’ll be tweeting, taking pictures, and doing a full concert review, so be watching for it! Several artists have new CDs due out soon, or are currently in the studio working on new projects. 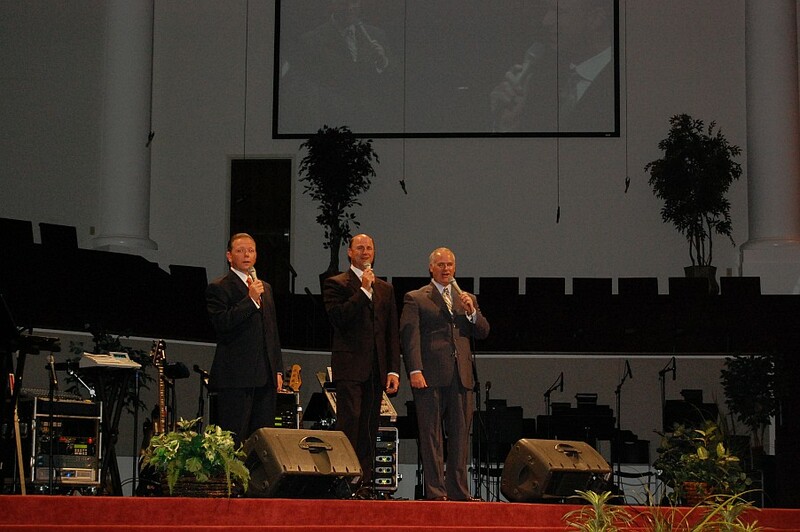 Via Twitter, Legacy 5, the Booth Brothers, and Greater Vision have been in the studio this week working on Jubilee 2. 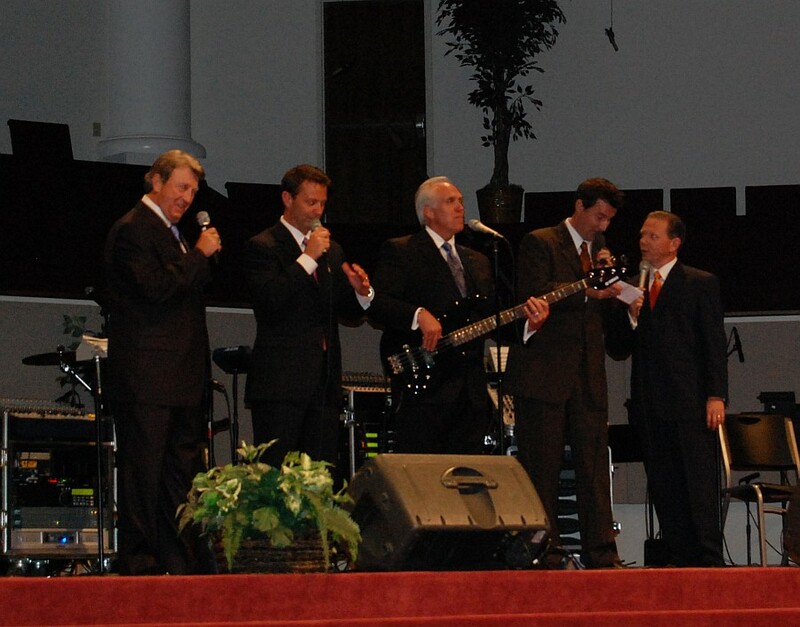 Also, the Inspirations have been laying vocals this week on their latest CD, and the Perrys are making their final song selections for a new CD as well. Brandon over at CoomerCove got the scoop on the new Gold City Favorites project from Roy Webb. 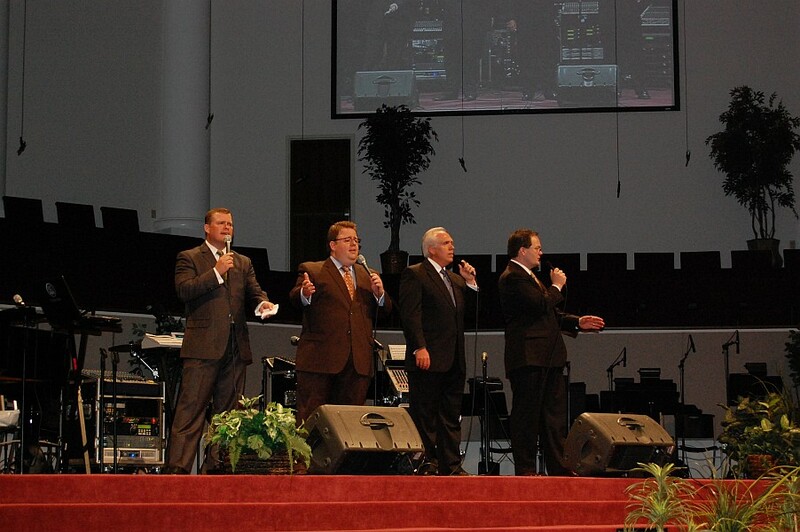 The Dove Brothers have a new album due out soon, and have posted a full preview on their website. Finally, the Booth Brothers’ new CD, Declaration, produced and arranged by Lari Goss, is due to release on next Tuesday, June 1. I’m currently working on a mega-review of the project with several other bloggers. Stay tuned, folks, this one is a real game-changer. 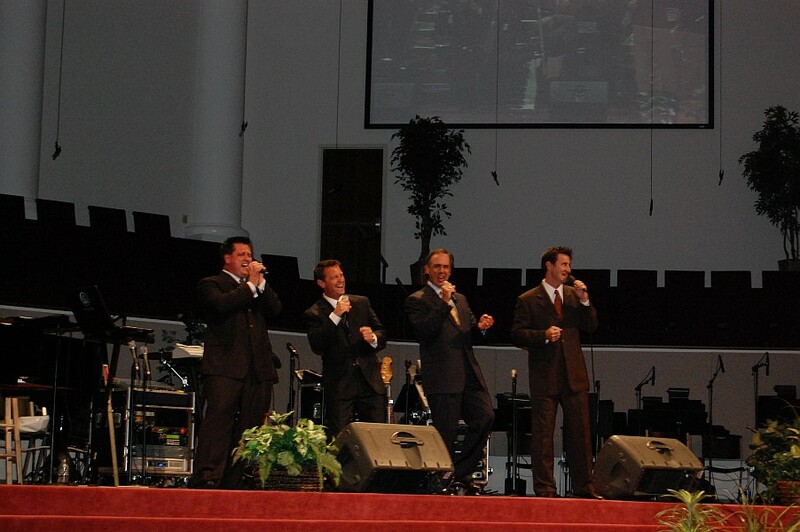 Legacy Five has just announced that Gus Gaches is their new tenor. 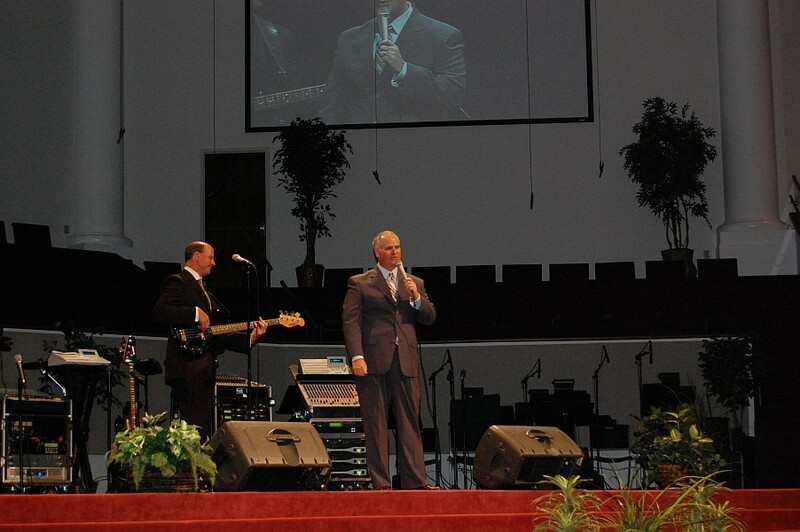 Gus had been singing tenor for Priority, and has one of the smoothest tenor voices you’ll hear. Congratulations to Gus and Legacy Five.